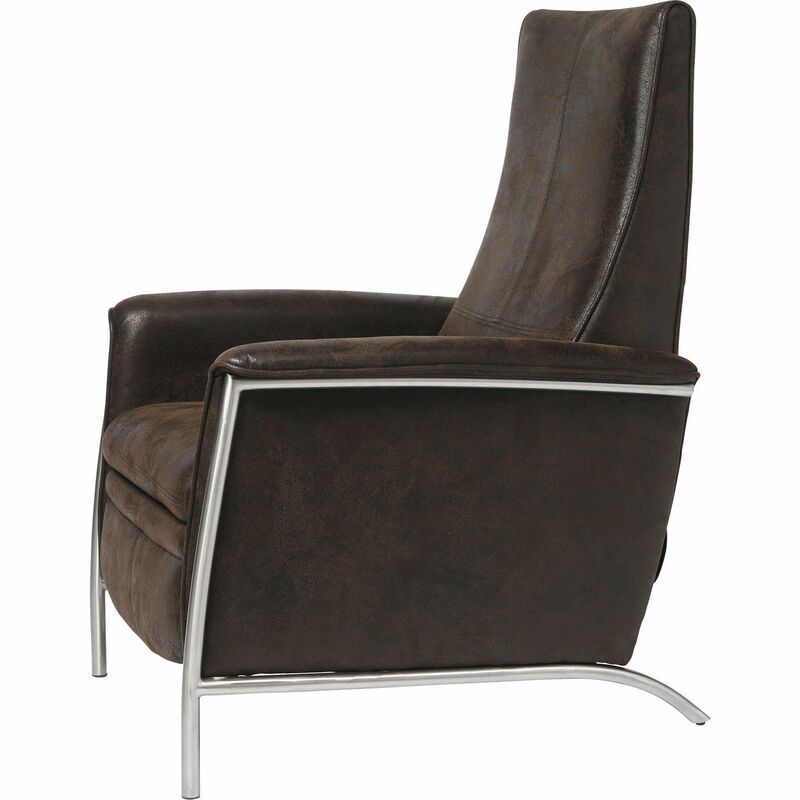 Here cosy comfort meets functionality - Are you looking for a comfortable chair, but really need a lounger, too? 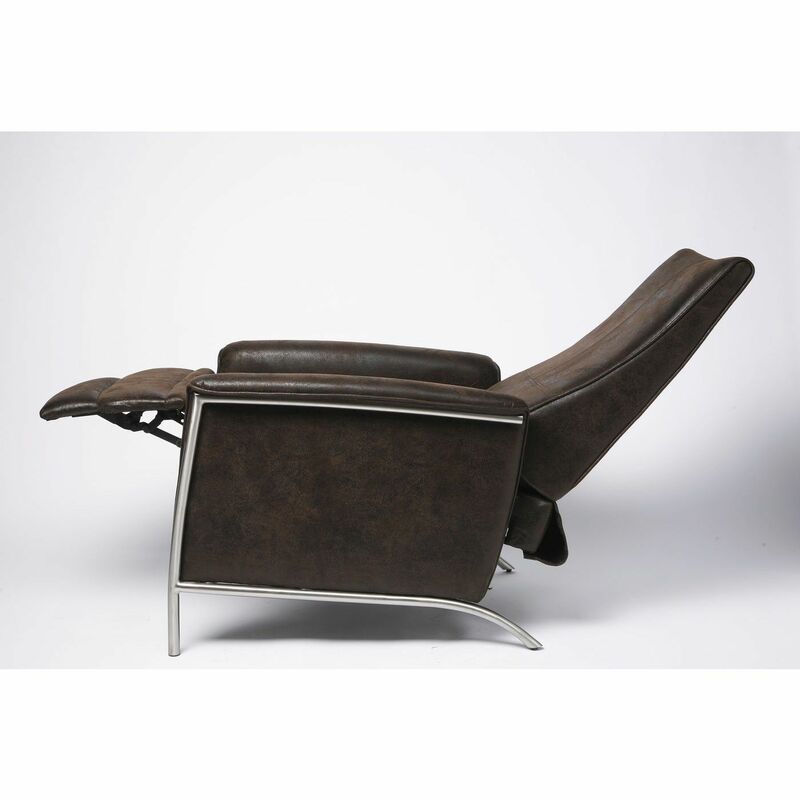 Then this elegantly shaped reclining chair is exactly what you need. 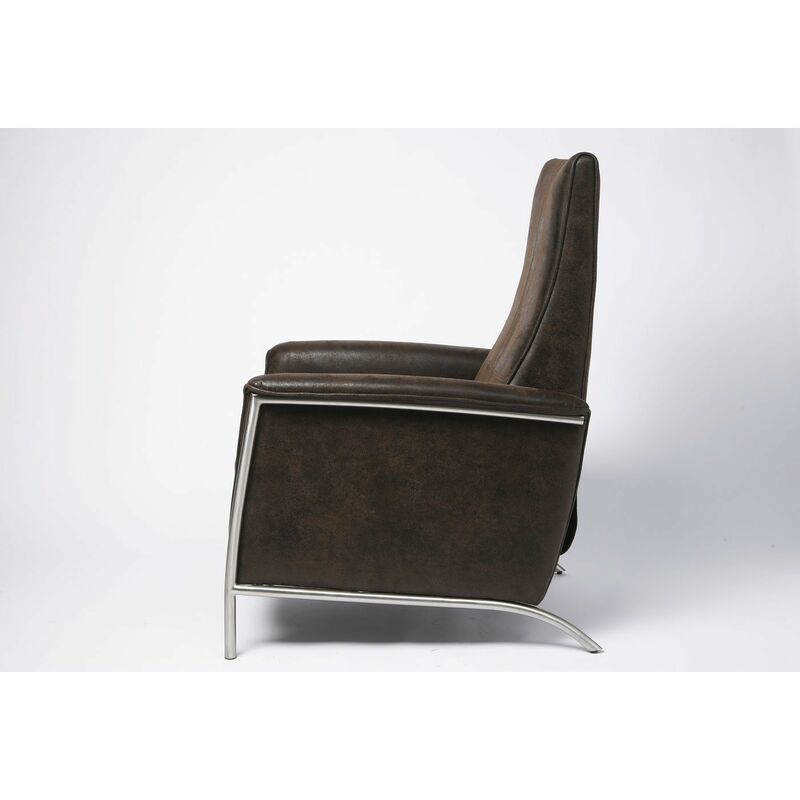 An extremely comfortable armchair in the vintage look, it can be adjusted in two stages to form a recliner. The fold-out foot support rounds off these highly practical features. 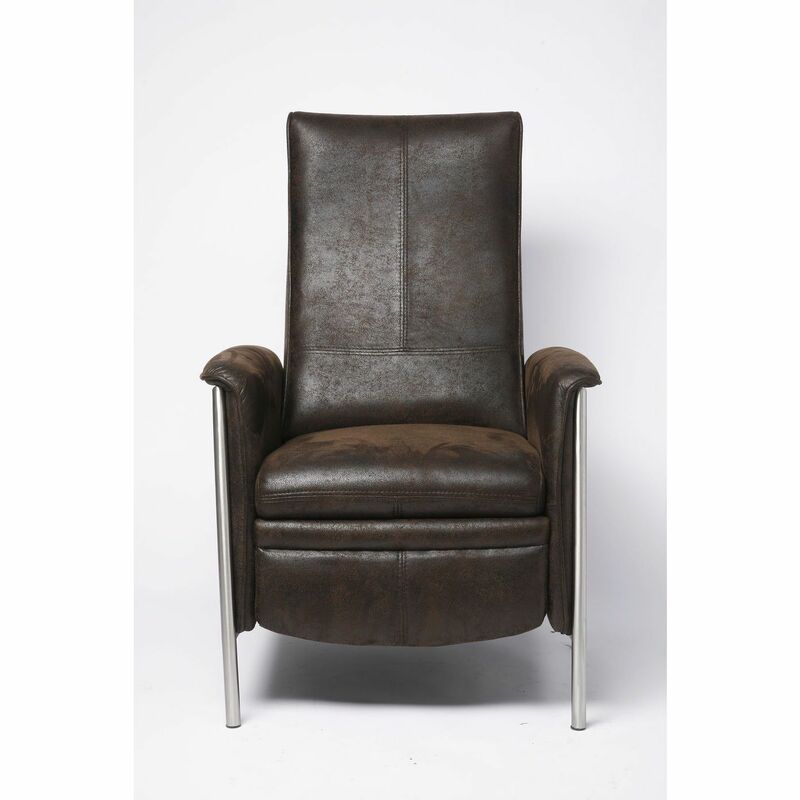 ��Two in one' is the motto of this armchair. The seat height is 47cm. 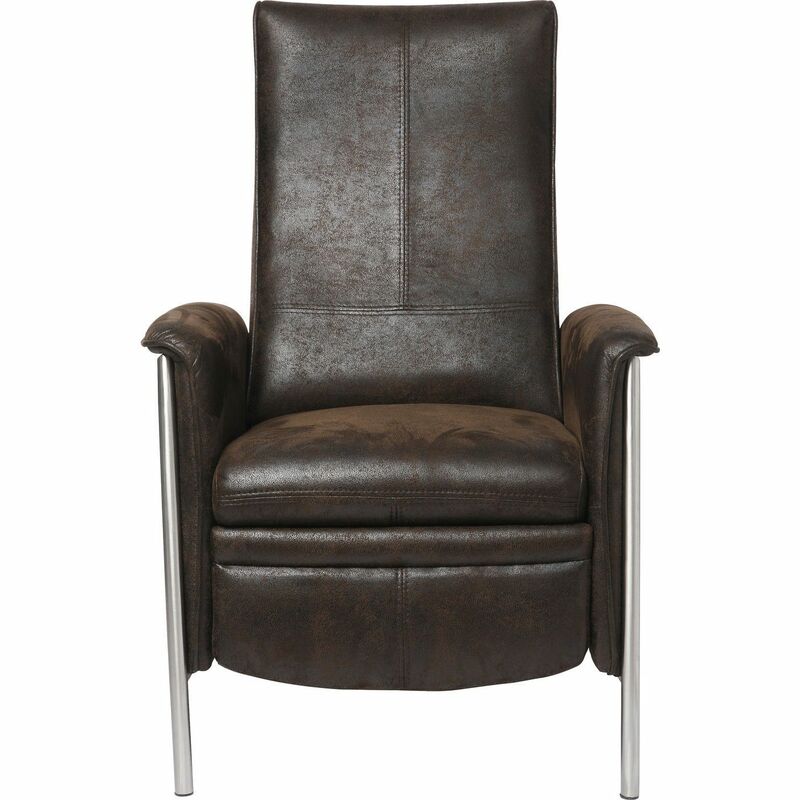 The vintage-style microfibre cover gives this relax armchair a charming look. 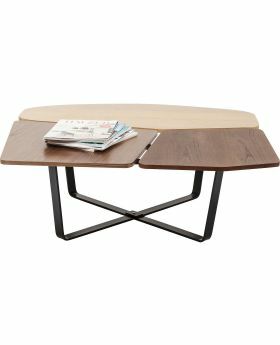 The frame is made of stainless steel.